Gov. Mark Dayton on Tuesday named Judge Natalie Hudson as the next member of the Minnesota Supreme Court. At a news conference, Dayton said Hudson is the most qualified person to replace Associate Justice Alan Page, who reached the mandatory retirement age of 70 earlier this month. Hudson currently serves as an at-large judge on the Minnesota Court of Appeals, to which she was appointed by then-Gov. Jesse Ventura in 2002. She has also served as an assistant attorney general for the state of Minnesota, as St. Paul city attorney and as assistant dean at Hamline University School of Law. Hudson is the second African-American woman named to the Supreme Court, following Wilhelmina Wright, whom Dayton appointed in 2012. 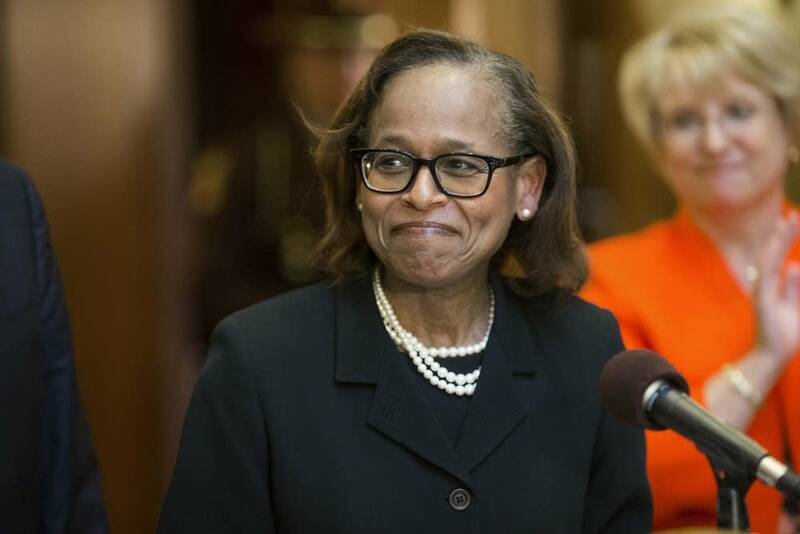 Dayton is also preparing to name Wright's successor, because President Obama has nominated her to serve on the U.S. District Court for Minnesota. Wright will leave the Minnesota Supreme Court once she's confirmed by the Senate. With Page's retirement, Associate Justice G. Barry Anderson becomes the longest-serving member of the court. Gov. Tim Pawlenty appointed Anderson to the court in 2004.